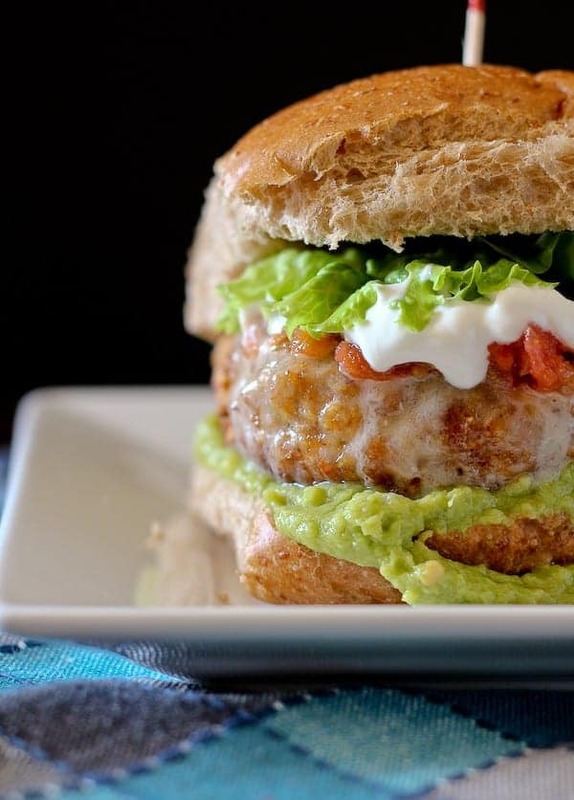 This taco turkey burger recipe combines your summertime favorite (the burger!) with your every day favorite – the taco! Please excuse the major guacamole avalanche in the photo above but is is so completely necessary. The guacamole held strong through the first couple snaps of my camera but quickly met its demise. And then again when I ate it. 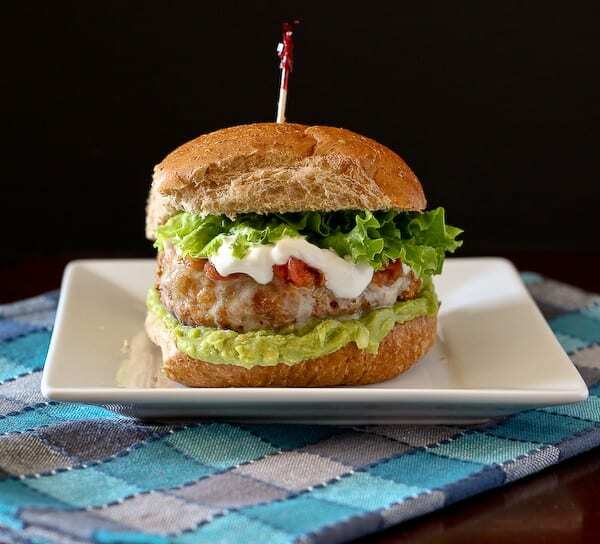 We’re big fans of turkey burgers (please don’t judge the photos in that post) here in the Gurk household. 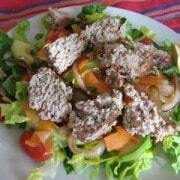 It’s a quick and easy meal, healthy and satisfying. I’ve done pizza turkey burgers so it was clearly time for a TACO turkey burger recipe with my beloved taco seasoning. These burgers come together so quickly and would be great for a crowd with a toppings bar. Customizable with whatever you like on your traditional tacos. You can top these with guacamole (or even sliced avocado), diced tomato, salsa, sour cream, lettuce, fresh cilantro, whatever your heart desires. You could even swap out the whole wheat bun for a large tortilla. The possibilities are endless. The burger itself is pretty simple (but not in a boring, bland way!). I used crushed tortilla chips to bind things together instead of bread crumbs. The taco seasoning gives plenty of flavor but is complemented by some grated onion. The grated onion also adds great moisture to these burgers. 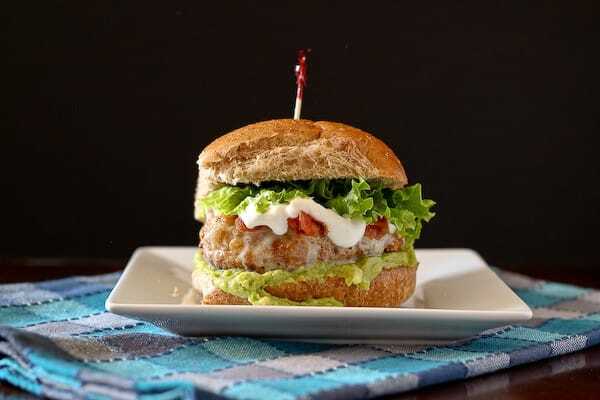 Don’t miss the video for this taco burger recipe! Our grill isn’t too reliable so I cooked these under the broiler and topped with some sharp cheddar cheese. You could also cook these on a stovetop grill or even in a regular skillet. Remember they are turkey so you’ll want to cook them all the way through — no medium-rare allowed with these babies. To a large bowl, add ground turkey, taco seasoning, crushed tortilla chips, and beaten egg. Grate the onion over the bowl to catch all the juice. Mix everything together using your hands until it is combined. Do not overmix. Form into four equal patties, pressing down the middle of each so they are slightly thinner in the middle. 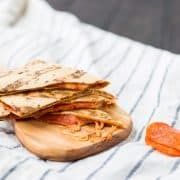 Place on a sheet pan lined with foil and broil on high (about 4-5 inches from the heat) for about 6 minutes (or until golden brown), flip over, cook for another 2-3 minutes, add cheese slices, and cook for one more minute or until cheese is melted and burgers are cooked through to 165°F. Add to buns, top as desired and serve immediately. Follow the links below to see other great burgers created for the final day of #BurgerWeek hosted by NoshOn.It! Disclaimer: I was NOT paid or reimbursed in any way to write this post. I love burgers and NoshOn.It is a great blogger friend! Wow! 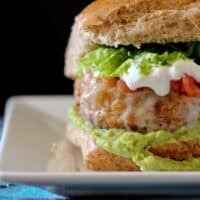 This taco turkey burger recipe is incredible! I’m seriously so inspired right now. I need to add bell peppers to recipe and it would be perfect. Thx for sharing Rachel! Oh my goodness! I just, JUST had this. It was fun for my daughter and I to make (she loved the mixing by hand, and the crushing the chips). I knew this would be good, just the thought of it was making me drool, but the taste was so much better than I was expecting. Thank you, thank you, thank you! Your comment made my day! 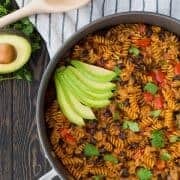 Thank you for taking the time to come back and leave your thoughts about this recipe. I love that you involved your daughter in the process and I’m thrilled that they were a hit! Thanks again! Hi Rachel! I’m so glad I found your blog……and I love love love cutting celery too. It’s funny because I don’t consider myself a cook but love that aspect. Anyhow, you just combined my kiddos two favorite foods into one, taco’s and burgers. The best of both worlds. And the prep time is 10 minutes…let’s do this =) Yay. Such a fabulous idea to combine two great meals – the burger and the taco – into one! These look fantastic, and all of that guacamole is totally necessary! What a great idea for a burger! Looks amazing! Guac avalanche totally forgiven – it looks too awesome not to!! Great photos for sure. And I’m craving this burger now, omg, looks amazing!! Oh wow those look incredibly juicy and amazing. I fully appreciate the avalanche of guacamole too. Love the seaoning and the tortilla chips in the burger, even beef burger lovers will dig this yummy burger! Don’t be apologizing for guac messes, it looks totally salivatingly good! I think every ‘foodie’ who sees that photo with the dripping guacamole is going to be shouting YES! What a quick and cool way to zip up the flavor in the burger. That was pretty clever. girl you KNOW I’m in. Wow! I am in love with this burger! Such a brilliant idea to make it taco flavored with tortilla chips! Stunning photo and the recipe… Looks amazing! Crushed tortilla chips in the burger is genius! And you are way too hard on yourself, these photos are fantastic and the burger looks amazing! Thanks girl! I just died when that guacamole slipped down, lol! My taste buds are judging these photos…that they want to jump in them and bite that burger! Girl, this is EPIC. 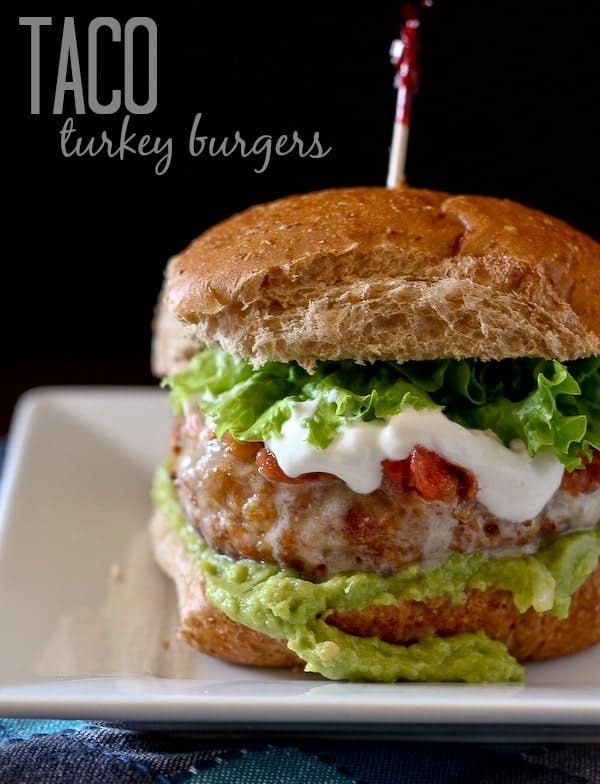 I love turkey burgers…and tacos..so, this. Pinned!